The history of all the churches in Colborne begins with the travelling preachers. They rode or trod the rude forest trails of Upper Canada ministering to small groups of settlers who met to worship in their homes. These ministers lit the torch of the old faith in the new land. One of those intrepid souls was the Rev. Robert McDowal, the first Presbyterian missionary in this part of the province. He covered the territory between Brockville in the East and York, now Toronto, in the West. How important his arrival was in the small isolated settlements can be readily imagined. “The Missionary is coming” was the signal for an immediate gathering. Sermons were preached, children baptized and couples married – a truly momentous occasion. This church, built from local stone, was begun in 1830 on land acquired by the Presbyterian congregation from Joseph A. Keeler, a prominent local merchant and the person considered to be the founder of Castleton and Colborne. Keeler asked only that he have a seat reserved for him. The church was designed by Archibald Fraser, a Scottish architect and builder, in a plain and classically proportioned Georgian style and, upon completion in 1833, services were held under the direction of the Reverend Matthew Miller. When one considers the conditions of the time, the hauling of the stone alone must have been a Herculean effort, an ox trail through the woods being the only road. Timber could easily and cheaply be obtained, for the forest was still at their doorstep, but it is clear that these pioneers made the right decision as the stout old walls of Old St. Andrew’s have withstood almost two centuries of wind and weather. Later in the 19th century, the interior was recast and a new roof featuring projecting eaves supported by paired brackets was added giving the building a decidedly Italianate character. In 1910/11 the original tower was heightened, a belfry constructed and a hall housing the Sunday school erected at the rear. 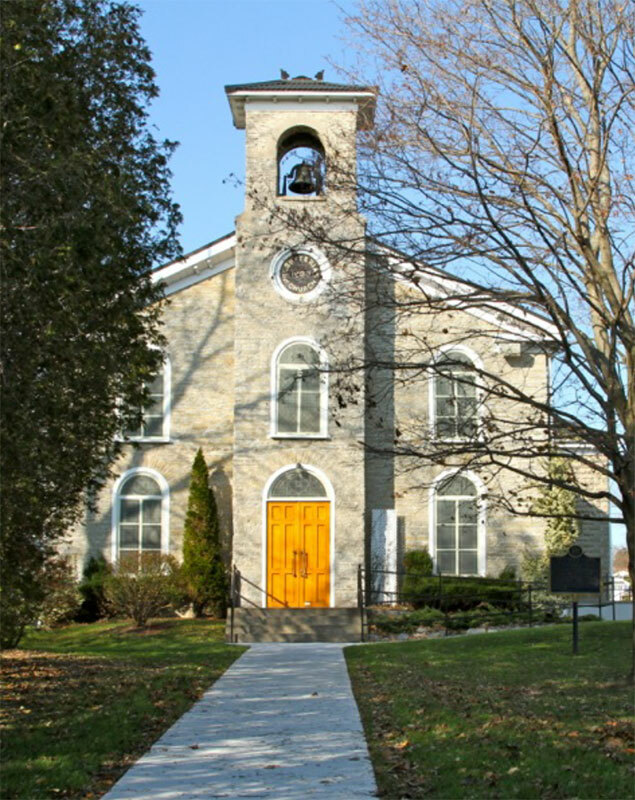 Little has been altered since then and St. Andrew’s remains one of the oldest surviving Presbyterian churches in Ontario. A document was found under the first pulpit. It reads as follows: “This church was projected by Mr. Archibald Frazer, building and undertaker, from Scotland. The corner stone was laid in the North-East corner, in the year of our Lord one thousand eight hundred and thirty, in the midst of a large concourse of spectators. The trustees were John Steele, Esq., Josiah Farrar, Esq., and Mr. David Brodie, Secretary. The pulpit and spire were begun in 1832 and finished 1833. William Penman, James Aitchenson, Addama Sharp, Thos. Miller – Joiners from Scotland”.